WordPress is a wonderful tool to be able to quickly and easily create rich, responsive websites without the need for extensive web development training. It puts the power of web design in the hands of anyone who needs to get their brand, information and content out to the masses. Almost anything that you can dream up can quickly and easily be created in WordPress through the use of templates, themes, and plugins. If this still doesn’t completely fulfill your purpose and you have some web development expertise in PHP, HTML and CSS, you can further customize your website by tweaking or writing your own themes and plugins. WordPress provides application programming interface (API) sections for almost anything that you could want to do with a web page. You can use theme hierarchy to create your own themes by using templates from WordPress and other third party resources or just tweak them using the Customizer API. The tools are at your fingertips without having any knowledge of programming or web technologies. However, if you do have experience with these technologies, the opportunity is there for you to dive in and make the theme your own using low-level command driven API’s and tools. You can easily create, customize and install dashboard widgets and plugins to your WordPress page. Single-file and multi-file plugins can be developed in WordPress’s development framework and can then be drag and dropped onto your page as needed. By starting with just a few plugins like these, you can easily streamline the logistics, security and e-commerce areas of your website. WordPress also provides the ability to take advantage of established search engine optimization (SEO) practices. Keyword analysis and page optimization tools can ensure that your content is driving traffic to your website in the most efficient manner. These SEO tools look at page titles, header tags, image alt tags, meta descriptions and more to grade the relevance and use of your on-page content. Some plugins even offer a simple red, yellow and green grade to help you quickly analyze where you can improve your current content. Lastly, adding a Google Analytics tracking code to your page can also help to make sure that your SEO strategy is working like it should by judging things like traffic, bounce rates, and average time spent on page. Plugins that help you integrate your website into all of your current social media platforms are also available in WordPress. For example, plugins for Facebook, Twitter, Google+ and Instagram can be easily configured to automatically maximize your site’s social media footprint. As mentioned above, you can add this feature as a widget on each page to allow users to quickly and easily share the content they are looking, at or you can allow the plugin to automatically share new content from one platform to all of the connected accounts. This is very often seen within the blog space on a website – offering the chance for readers to share content and drive additional traffic to the website. WordPress is a wonderful tool that puts the power of website development and optimization into the hands of people looking to expand their presence on the web. 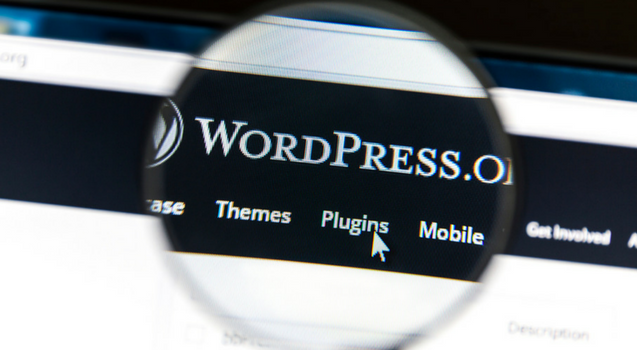 Whether you’re a non-technical business user or a professional website developer, WordPress has something to offer. To maximize the power of WordPress, sign up for an online or in person WordPress course. With our easily accessible training options and extensive coverage of course materials, you’ll be knocking out WordPress sites in no time.